Cuba remains one of the top Caribbean destinations in 2017 and continues to be a favorite holiday location. It is on the list of most popular tourist spots in the region – along with Dominican Republic, Puerto Rico, British Virgin Islands, St. Lucia, and Guadeloupe. Every year Cuba attracts millions of visitors to its hospitable culture and wonderful natural sights. 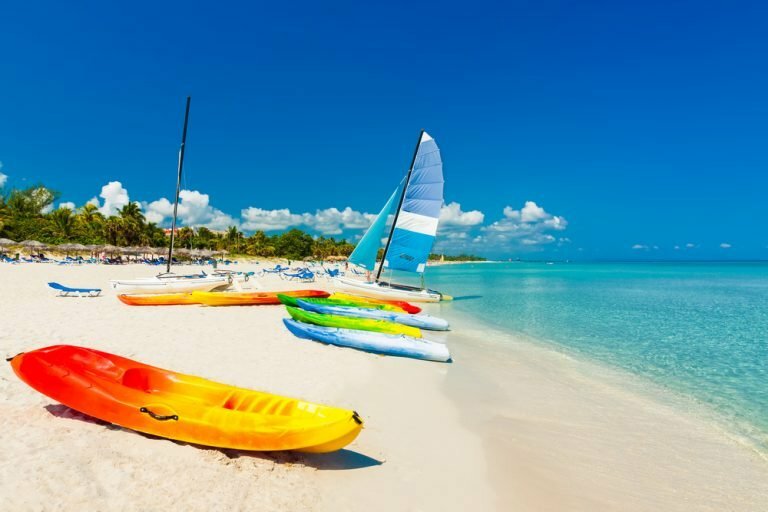 There are reasons why many Canadians choose Cuba over other Caribbean destinations: Cuba has seen huge advancements in the tourism sector in recent years, especially in its accommodations infrastructure, with many new hotels and resort complexes built and high quality services instituted. Moreover, a number of new agreements were concluded with various air companies to develop new routes – making Cuban destinations more accessible to many travelers. Cuba is a favorite Caribbean destination where people return over and over again. Among the factors which contribute to this tendency are undoubtedly Cuba’s nature and crystal clear turquoise waters – as well as its very special atmosphere. The beautiful nature is specifically and exotically Caribbean and has been declared a Biological Reserve by UNESCO. Not all Cuba’s territory is considered a Biological Reserve, but there are many protected areas around the country which have unique biodiversity and fragile ecosystems. In the seas of the western coast, for example, Guanahacabibes Peninsula has one of the best preserved coral reefs in the world. Furthermore, you can see here special kinds of animals and plants, 22 distinctive beaches, and, the most exciting thing – along the shore are the remains of some pirate ships from the colonial period. In addition to coastal regions being protected Cuban territory, marine areas – which reach depths of 200 meters – are protected zones as well. In total, reserves cover one fifth of all Cuban territory; the most famous are Sierra del Rosario, Guanahacabibes National Park, Cuchillas del Toa, and Buenavista. Although the tourist sector in Cuba is developing quickly and attracting a lot of investment into the country, ecological issues are studied thoroughly – assuring visitors a holiday in a safe and ecologically balanced environment.